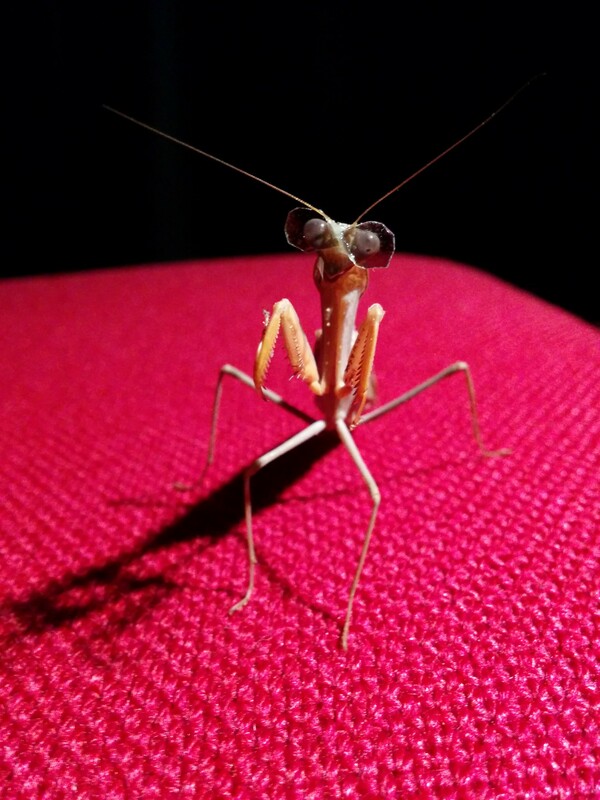 Recently, we’ve had quite a lot of interest in our photos of mantids wearing 3D glasses. We thought it might help to give answers to some of the questions people have been asking us about this. Q: Why have you stuck 3D glasses on an insect? striking at the screen, we can learn about how their 3D vision works and compare it to humans. Q: What do you mean by 3D vision? A: 3D vision is more properly called stereoscopic vision or binocular stereopsis. It refers to the perception of depth based on comparing the slightly different views of the world seen by each eye. In essence, it’s about working out an object’s distance by triangulating back from its image in each eye. Q: So what do you hope to learn? easier to replicate their 3D vision. If insect 3D turns out to be quite similar to human vision, that should help us understand our own 3D better. If it’s very different, that might give us a whole new way of thinking about 3D. Q: What are the possible applications? 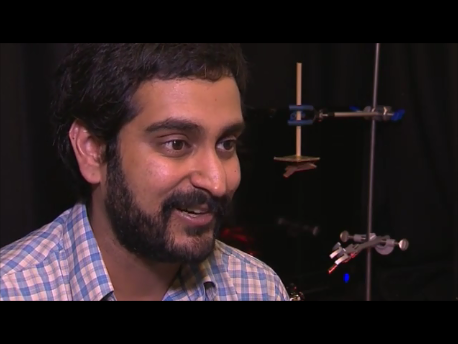 Q: Why would you want to give a robot 3D vision? A: If you want a robot to move around an unfamiliar room without bumping into things, or to reach out and pick things up, it has to know how far away things are. 3D vision is a relatively simple way of achieving that. Q: How do you make the glasses? gently glue them on with beeswax while looking down a microscope. Q: Does wearing 3D glasses hurt the insects? A: As far as we can tell, no. They seem quite happy to wear the glasses, and they live normally in their cages and hunt their prey while wearing them. Q: Don’t lots of other animals have 3D vision? A: Absolutely – monkeys, cats, owls, sheep, horses, toads, owls to name just a few. But insects are particularly simple organisms, so we’re hoping it will be easier to understand their 3D vision. People have speculated that many different invertebrates may have 3D vision, for example hunting spiders or dragonflies. But to date, praying mantids are the only invertebrates for which this has been scientifically proven. Q: How do you prove a praying mantis has 3D vision? A: Samuel Rossel proved this with a series of elegant experiments in the 1980s and 90s. In one experiment, Rossel put prisms in front of the mantid’s eyes. These bent the light rays and caused the mantis to make mistakes, striking at a fly when it was in fact out of range. The pattern of these mistakes indicated that the mantis was using 3D vision to judge the fly’s distance. For more detailed answers to many of these questions, you can read a more technical description of the research.